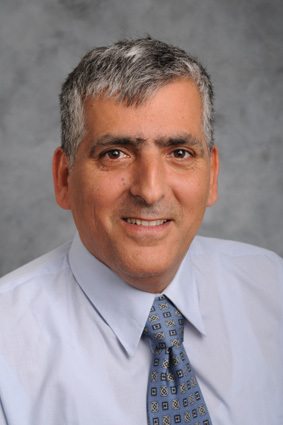 Prof. Yitzhak Mastai, of the Department of Chemistry and member of the Nano Materials Center at the Institute of Nanotechnology and Advanced Materials (BINA), has created a new technique based on polarized near-field scanning optical microscopy (NSOM) that allows scientists to distinguish between chiral pairs. This technique can potentially be used to identify chirality in a variety of environments, and to measure interactions between small molecules and chiral surfaces for pharmacological research. In the past, techniques to study chiral surfaces using polarized light were carried out only on large areas, and characterizing surfaces at the sub-micrometer scale was limited. However, Mastai’s NSOM-based method enables optical microscopy at a higher resolution, beyond the diffraction limit, and is thus suitable for nanostructured environments. With Mastai’s technique, it is possible to distinguish between enantiomerically pure L- and D-histidine nanocrystals grown on gold surfaces with dimensions of 10 micrometers. His lab hopes to improve their technique for measuring optical activity at the nanometer scale, and to use NSOM to explore the relationship between the optical activity of chiral surfaces and their crystalline surface properties. Mastai’s research utilizes a molecular biomimetic (“bio-inspired”) approach for the study of molecular recognition at surfaces, and in particular, nanostructured chiral surfaces. His lab team aims to develop a new approach to the resolution of racemic compounds based on the use of chiral surfaces containing different optical functional groups in a crystallization process. Their overall approach is based on the general concept of molecular recognition at crystal interfaces. For the preparation of chiral surfaces they employ metallic surfaces modified with chiral monolayers to drive crystallization of organic and inorganic materials. The high level of organization and the chemistry of the monolayer can be modified in order to induce the formation of a specific enantiomer from a racemic mixture. The overall aim of Mastai’s research laboratory is to advance their understanding of the structure and behavior of water and the interactions of macromolecules with water. To this end, they use synthetic macromolecules, e.g. double-hydrophilic block copolymers and peptides, that mimic the structure and functionality of antifreeze proteins (AFP). Recently they demonstrated high antifreeze activity of short segments of type I antifreeze protein instead of the whole protein. Their approach of using short segments of the protein simplifies the correlation between antifreeze protein characteristics such as hydrophilicity and hydrophobicity and the effect of those characteristics on the antifreeze mechanism. In addition, it enables the preparation of large quantities of short AFP segments at low cost and with high antifreeze activity. This combination of benefits facilitates development of the commercial potential of AFPs.